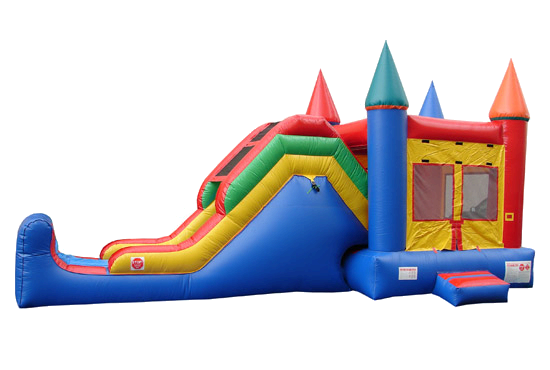 Our jump n slide combos (29'L x 11'W x 11'H) are a party staple! They include an 11'x11' bounce area, basketball hoop, and slide. When used wet, water drips from the top of the slide. The landing is inflated (no pool), and riders are stopped by a wall.